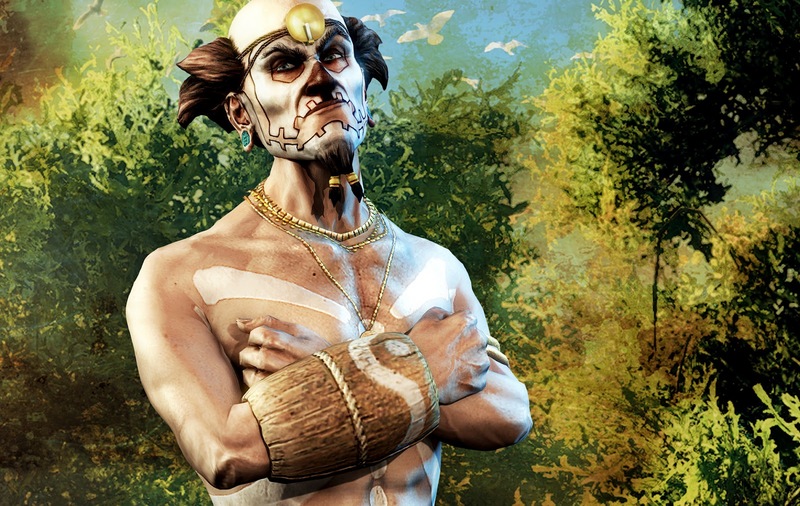 Today, Deep Silver revealed the fifth character from their upcoming title, Risen 2: Dark Waters! As the former ship's doctor and a talented distiller, Bones has heavy hardships behind him. He was betrayed from his shipmates and friends and left to rot on a small island, for no reason. After a long period of loneliness, hopeless wandering and the constant struggle for survival, he was finally found by the natives of Maracai Bay. They tried to return him to good health, but succeeded only with his body. His spirit could not be made whole again. Infected by the madness and jungle fever Bones suffers from persistent paranoia, visions, fear of death and choleric temper tantrums. Since then, he lives out his life among the residents of Maracai tribe and hopes to release his wearied soul. Will the nameless hero help the unfortunate pirate and free his soul? Can he win Bones over to become a valuable team member?